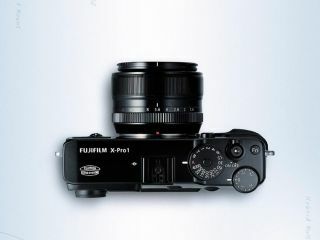 X Pro1 is "nice solution for their customer"
Sony has praised one of its rivals, Fujifilm, for the Fuji X-Pro1 compact system camera, saying it offers a 'nice solution to their customer'. Speaking to TechRadar, Paul Genge from Sony UK said, "They're a great company, they've got an illustrious past, so all credit to them." Fuji has received wide praise for its X series of cameras, which started with the X100 last year and most recently the X Pro 1. The camera is clearly aimed at the 'premium' end of the market and comes with a price tag of around £1500 body only, with each of the three lenses currently available for the system retailing for between £500 and £600. "I think they've got in a niche market with the X Pro1 design," Genge continued, "The technology is well known and well understood, and I think it offers a nice solution to their customer. It is different from ours though." At the moment, the most expensive compact system camera Sony produces is the NEX-7, which sells for around £1100 for the body and 18-55mm kit lens. "It's great to see that there is variety in the market, and there are alternatives, because it all complements each other, to grow the market, grow the awareness, grow the interest, get people thinking about what they can do with their cameras, and in turn, improves photography," Genge said. Fuji has produced an APS-C sensor for the X Pro1 which the company claimed was capable of outperforming full-frame sensors, which our lab reports showed to be true.